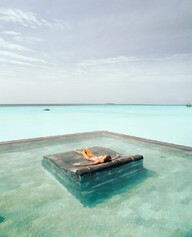 It's on days like today, that I love to be by the pool or on the beach! What would I do without the summer? 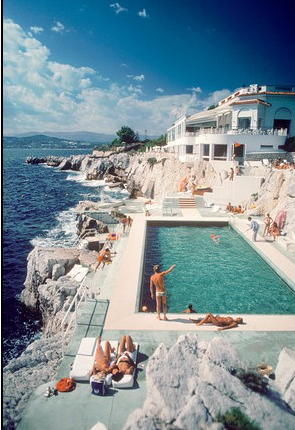 I am so inspired by the color palette in these images. Aqua, teal, mint and turquoise! (a bit like my blog header, the mint and turquoise at least) Off to work! 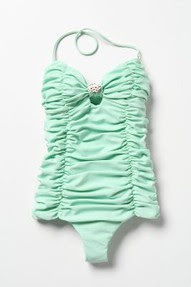 ANTHROPOLOGIE BATHING SUIT. THIS IS SO PRETTY. I THINK I WOULD NEED A BIT MORE OF A TAN TO PULL IT OFF! 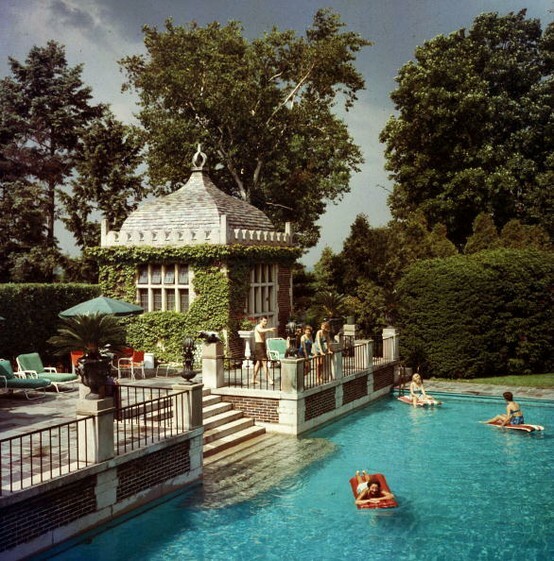 I love this vintage shot and that darling cabana.